When I look in the mirror every morning, that voice of my youth still whispers about my flaws. That writing mentor was one of several whom I worked with as I was completing my MFA work in Creative Nonfiction. For my thesis, I was writing a memoir. It was at times painful, but with each word I wrote about my childhood, I felt like poison was being leeched from my veins. Because, even though I had gone to counseling for years, I still viewed myself harshly. I tended to refer to myself by my last name when I was feeling particularly sorry for myself, like a gym teacher barking as I slogged by on the track. But writing my memoir, digging deep into those memories, I slowly, slowly, began to soften my view. I saw a little girl hiding in the bathroom, eating cookies, feeling like she messed everything up. A teenager who looked at the hipbones of her friends and felt like something was horribly broken with her own body. A young adult who prepared elaborate meals for her friends–and ate McDonald’s cheeseburgers standing over the sink when she was alone. And then, I began this journey. The very one I hope to chronicle on this blog. One of hope and healing and falling down and getting up again. I hope my words will inspire you to take care of yourself. Not lose weight, not boil your life down to pants sizes and numbers on a scale (though, for sure, that is a fraction of the journey). I want you to cook delicious food for yourself. And go on walks in the sunset where your skin turns golden and then pink. I want you to push yourself harder than you thought you could. And accomplish more than you ever knew was possible. 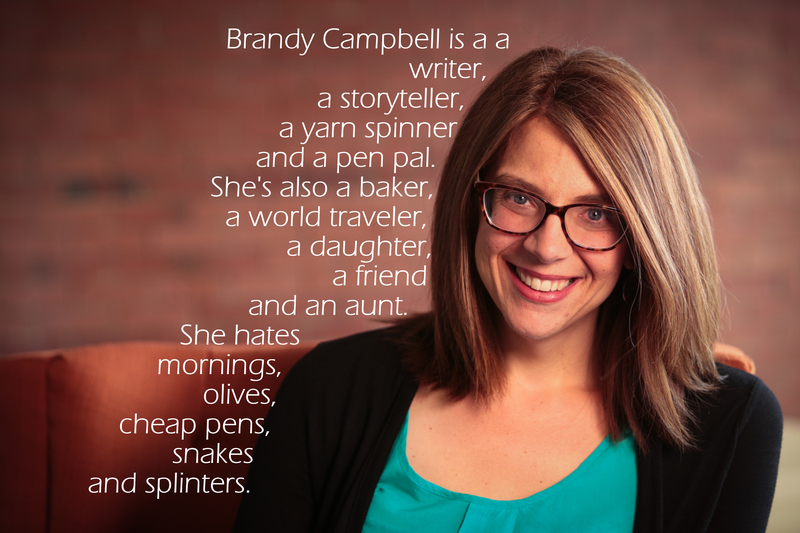 Why a new blog, Brandy?